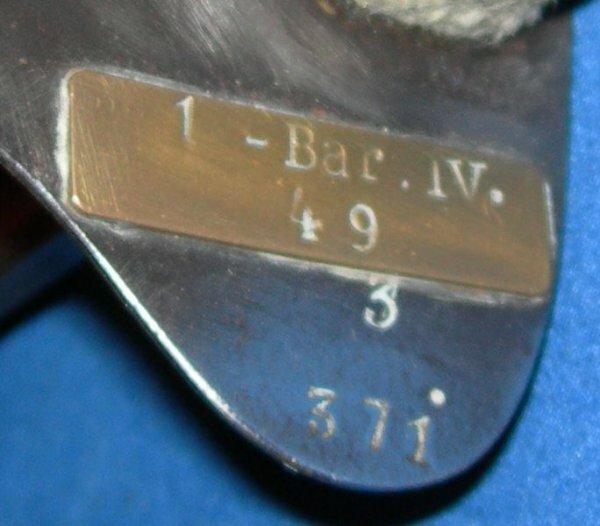 In very good overall condition, a Dutch colonial police or naval Klewang / Cutlass, made by Hembrug, unit marked, with bound grip for tropical / jungle use. This is nice example with a bound grip; this was done for use in the tropics of Indonesia (Dutch East Indies); the original ribbed wooden grip is probably intact underneath. One of the few Klewangs not seized and modified by the Imperial Japanese army during WW2, this full / uncut / unmodified / original version is scarcer than the Japanese modified "Heiho" version. 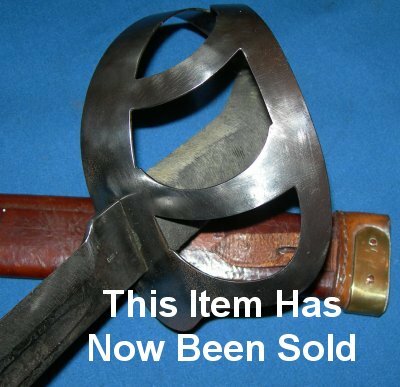 The 24 1/4 inch blade in very good condition (some scuffing) and is firm in the hilt. The hilt with some aging and scuffing, but strong and sound. The bound grip has clearly been held with a sweaty hand or more over the years. The leather sheath in very good condition. The cutlass sheathes and draws very well. A well above average example. Please quote item reference number G51 (950). Further / full sized images available upon request.